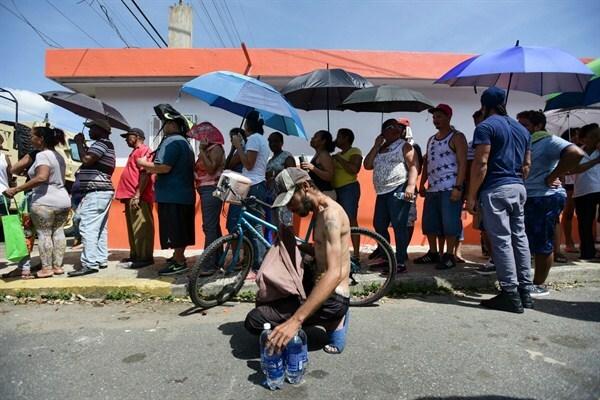 People affected by Hurricane Maria wait in line to receive supplies from the National Guard, San Juan, Puerto Rico, Sept. 24, 2017 (AP photo by Carlos Giusti). This year’s Atlantic hurricane season has taken a heavy toll on the United States. After Hurricane Harvey first struck the Gulf coast in late August, Irma whirled over the Caribbean and Florida a few days later and, just last week, Maria left Puerto Rico absolutely devastated. In addition to the human suffering, the storms have strained U.S. energy infrastructure, raising serious questions about President Donald Trump’s energy policy and priorities.